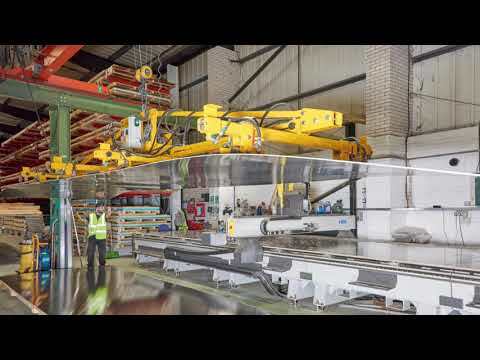 Aalco is Europe’s leading independent stockholder, supplying Aluminium, Stainless Steel, Copper, Brass and Bronze in semi-finished form to over 60,000 customers in the UK via 18 strategically sited service centres. Established for over 50 years, Aalco carries over 15,000 stock items and offers processing capabilities that include; cut-to-size, finishing and processing to suit customers that range from small OEM businesses to large multi-nationals. Industries served include marine, oil & gas, general engineering and manufacturing. For the marine and associated industries materials can be supplied fully certified to required classification society such as Lloyds, DNV, ABS, BV etc. and the Aalco Southampton Service Centre offers a complete processing service including plate and bar sawing, guillotining, waterjet, router and laser profiling. Seawork International welcomes new and long-term sponsors to its special anniversary edition, 13-15 June in Mayflower Park, Southampton. Sponsors for 2017 include marine air conditioning, underwriters, drive solution and navigation specialists, amongst others. At a time when some trade exhibitions seem to struggling, the busy gangways and strong visitor numbers to the stands at Seawork mark a pleasant departure from what has, all too often, become the norm at other events, according to Aalco.